Bollinger Bands are commonly used when trading cryptocurrency. Bollinger bands are a type of overlay fitted into a crypto chart’s price plot, and consists of a pair of lines plotted two standard deviations above and below a market’s SMA. When the market increases in volatility, its Bollinger Bands widen away from each other. The bands converge during times of lower volatility. An unusually long period during which the bands are tight often portends a looming spike in volatility. Markets hugging the upper band may indicate overbought conditions, while markets trading at the lower band may be oversold. Generally, prices stay between the Bollinger Bands. 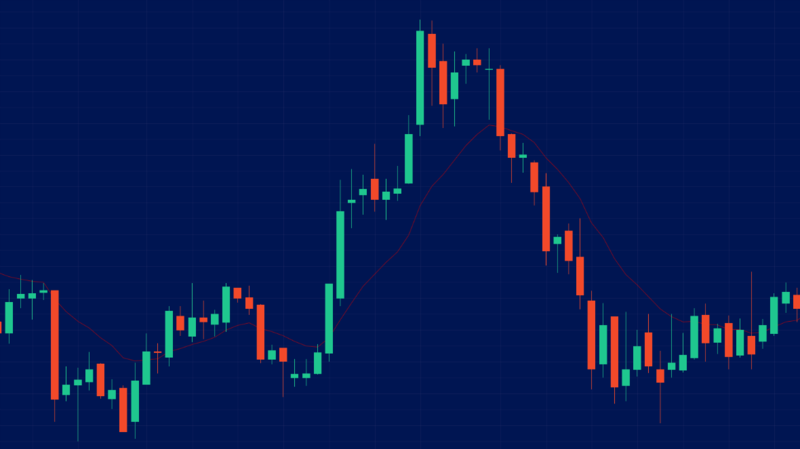 When a price has been on the outside of a band for an extended period, the price is often near an extreme and about to move back within the band range. On daily charts for instance, it is rare for prices to remain outside of the Bollinger Bands for an entire trading week.